Nobody wants to appear with wet clothes at an appointment, at work or at school. To prevent these unpleasant situations, Frank offers a wide range of rainwear. 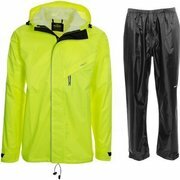 Whether you are looking for a rain poncho for a walk, a rain suit on the go or rain pants for the bike: with us you will undoubtedly find the right one. 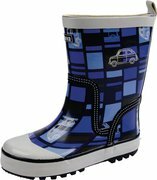 Of course you can also come to us for raincoats, wellies and even an umbrella. With Frank's rainwear, you never have to be afraid of a wet suit.